Europeans have found the secret to making some of the world’s costliest medicines much more affordable, as much as 80 percent cheaper than in the U.S. Governments in Europe have compelled drugmakers to bend on prices and have thrown open the market for so-called biosimilars, which are cheaper copies of biologic drugs made from living organisms. The brand-name products — ranging from Humira for rheumatoid arthritis to Avastin for cancer — are high-priced drugs that account for 40 percent of U.S. pharmaceutical sales. European patients can choose from dozens of biosimilars, 50 in all, which have stoked competition and driven prices lower. Europe approved the growth hormone Omnitrope as its first biosimilar in 2006, but the U.S. didn’t follow suit until 2015 with cancer-treatment drug Zarxio. Now, the U.S. government stops short of negotiating and drugmakers with brand-name biologics have used a variety of strategies — from special contracting deals to overlapping patents known as “patent thickets”— to block copycat versions of their drugs from entering the U.S. or gaining market share. As a result, only six biosimilars are available for U.S. consumers. European countries don’t generally allow price increases after a drug launches and, in some cases, the national health authority requires patients to switch to less expensive biosimilars once the copycat product is proven safe and effective, said Michael Kleinrock, research director for IQVIA Institute for Human Data Science. If Susie Christoff, a 59-year-old who suffers from debilitating psoriatic arthritis, lived in Italy, the cost of her preferred medicine would be less than a quarter of what it is in the U.S., according to data gathered by GlobalData, a research firm. Christoff tried a series of expensive biologics before discovering a once-a-month injection of Cosentyx, manufactured by Swiss drugmaker Novartis, worked the best. Without the medicine, Christoff said, her fingers can swell to the size of sausages. At first, Christoff’s copay for Cosentyx was just $50 a month. 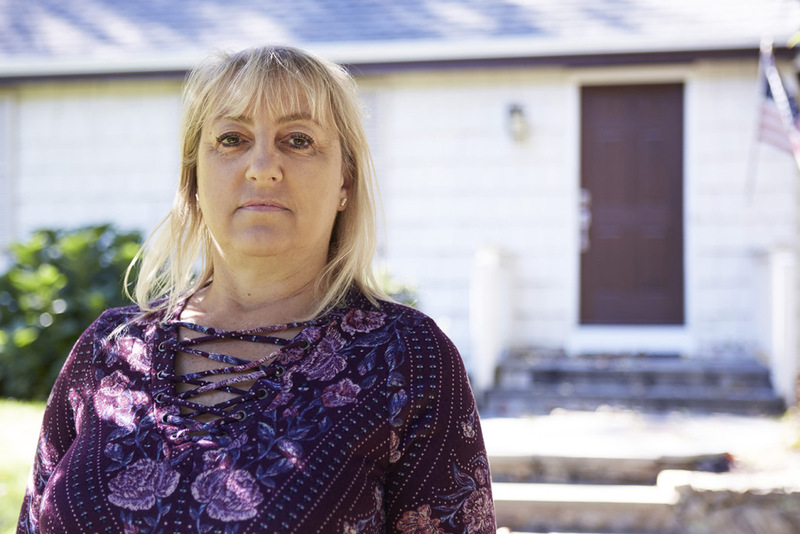 But when a disability led her to switch to a Medicare Advantage plan, her out-of-pocket costs ballooned to nearly $1,300 a month — more than three times her monthly car loan. Christoff, with the help of her rheumatologist, Dr. Angus Worthing, tried Enbrel, Humira and other drugs before finding Cosentyx, the only drug that provides relief. Christoff’s case is “heartbreaking,” Worthing said. Novartis declined to respond to questions about Cosentyx’s price. Instead, like other pharmaceutical companies, Novartis says it offers patient assistance programs for those who can’t afford the drug. Christoff said she doesn’t qualify for financial assistance. Like other biologics, Cosentyx costs thousands of dollars per month. The annual cost of Christoff’s treatment runs about $65,000 in the U.S. In Italy, where competition and price negotiations play a bigger role, it would run about $15,000, according to GlobalData. In England, Dr. Christopher Griffiths, a lead researcher at the National Institute for Health Research who treats patients with Cosentyx, said the National Health Service would pay about 10,000 pounds, or less than $13,000. And those drastic price differences are true even though there is no biosimilar version of Cosentyx yet available in Europe, and might not be for years. The cost of the drug is taking a toll on Christoff. This past summer, her progressive disease made it difficult to enjoy the annual family vacation with her three grown children and their kids in Virginia Beach, Va. Unlike Cosentyx, rival drugs — Humira, Enbrel and Remicade — all face biosimilar competition in Europe. Only Remicade has competition from a lower-cost biosimilar in the U.S., and Humira isn’t expected to have a copycat competitor in the U.S. market until 2023. Humira, made by AbbVie, is the world’s top-selling drug. In late October, Wall Street analyst Ronny Gal at Sanford C. Bernstein & Co. noted that AbbVie agreed to drop Humira’s price by 80 percent in one Nordic country to combat biosimilar competition. During the company’s quarterly conference call, AbbVie chief executive Richard Gonzalez said the drug’s discount was as low as 10 percent and as high as 80 percent across the continent, with the highest discounts in Nordic countries. “These are markets where it’s ‘winner takes all’ across the entire … category, so includes Remicade and Enbrel as well,” Gonzalez said in November, adding that Nordic countries represent about 4 to 5 percent of overall revenue in AbbVie’s international business. Concerned about how much biologics cost the U.S. health system and patients, Food and Drug Administration Commissioner Scott Gottlieb announced an “action plan” this summer that included tapping the Federal Trade Commission for help, saying he was “worried” about the biosimilar market. One of these business tactics involves so-called rebate traps, in which financial deals are cut to make sure patients can get only a biologic, not a biosimilar. International drugmaker Pfizer alleged in a September 2017 lawsuit that exclusionary contracts created by Johnson & Johnson prevented use of its biosimilar by health insurers, hospitals and clinics. Johnson & Johnson’s wildly successful biologic Remicade, the brand-name version of infliximab, produced $6.3 billion in worldwide in 2017. Pfizer launched its copycat drug, Inflectra, in the U.S. in October 2016, noting in the announcement that it would price the drug at a 15 percent discount to Remicade’s wholesale price. Still, health systems such as Geisinger Health, based in Pennsylvania, say they have had difficulty switching to the less expensive alternative. “J&J has done a really good job of entrenching themselves in the market,” said Jason Howay, manager of formulary services at Geisinger. A spokeswoman for Janssen, Johnson & Johnson’s main pharmaceutical subsidiary, says the drugmaker does offer “more attractive contract terms” to buyers who use a wider range of J&J medicines. “Our contracting approach has always prioritized access for patients and their providers,” Meredith Sharp says. Geisinger negotiated with biosimilar maker Pfizer and won still lower prices to make up for lost savings on the other J&J drugs. It’s now transitioning all adult patients to the less expensive biosimilar. Another business tactic is creating patent thickets, in which drugmakers win numerous patents to block competitors entirely. Humira, which treats arthritis and Crohn’s disease, has more than 100 patents protecting it in the U.S. By contrast, cheaper biosimilar versions of the AbbVie drug rolled out in October in Europe, where patent laws are less likely to offer such protection. Such tactics are stifling competitors, according to Bruce Leicher, a former senior vice president and general counsel for Momenta Pharmaceuticals, a Cambridge, Mass., biotechnology company focused on rare-disease drug development. Smaller companies are “struggling now” to plan launches of new drugs. Momenta cut half its staff in October, including Leicher, and announced plans to shift away from five biosimilar development programs. Other lingering regulatory burdens have hampered biosimilar adoption as well. This summer, Medicare began reimbursing doctors and hospitals differently for biosimilars. Before that change, patients could pay more out-of-pocket for less expensive rheumatoid arthritis biosimilars than for the brand-name biologics. And, unlike more chemical compound generics, like aspirin, a pharmacist cannot automatically replace a brand-name biologic with the biosimilar. More than 40 states have passed laws around how and when doctors and pharmacists can substitute a biosimilar for a biologic. Federal guidelines are still not established. In addition, the FDA requires each biosimilar name to include a random suffix, ostensibly to differentiate it from the biologic drug. That can be confusing and could cause patients and physicians to believe the products are significantly different in quality, said Christine Simmon, who promotes biosimilars for the trade group Association for Accessible Medicines.